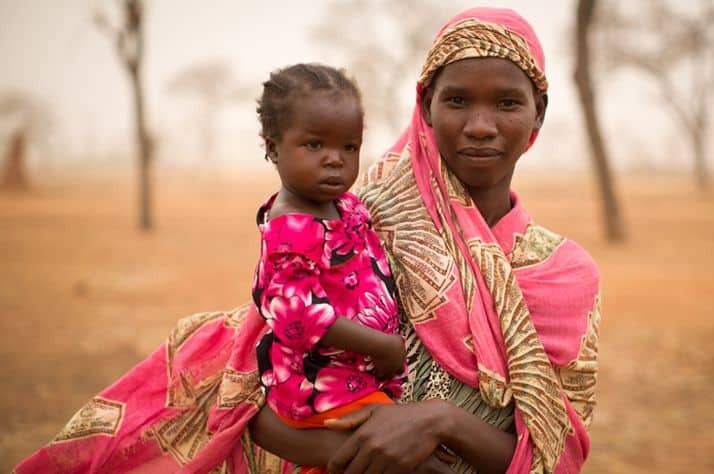 Samaritan's Purse Canada helps Sudanese Doctors. JUBA, SOUTH SUDAN—The killing had begun. Bullets were flying, armed rebels were advancing and the terrified hospital staff had fled to the bush. Inside the abandoned hospital, three Canadian doctors refused to leave. Even as the fighting raged toward them, they performed an emergency cesarean section to save a pregnant woman’s life. Then they ran and hid as bullets began thwacking into the hospital in the town of Bor, South Sudan. For one Canadian doctor, that emergency surgery was the last act of a heroic life. A few days later, on Christmas Day, Thomas Lul was killed in crossfire as he ventured out of a United Nations camp for displaced people. The Canadian government refuses to confirm his death, citing privacy issues, and so the doctor’s fate has never been reported publicly. But his death has been verified by the Calgary-based charity that helped sponsor his work in South Sudan. The charity, Samaritan’s Purse Canada, describes Dr. Lul as a courageous and self-sacrificing man who gave up a peaceful life in Canada to help the impoverished people of his homeland. He was one of 15 doctors who left Canada several years ago to work in South Sudan. Most of those doctors had frighteningly narrow escapes from the brutal war that erupted in South Sudan in mid-December, but Dr. Lul did not survive. After working under gunfire in the hospital, the 45-year-old was killed outside the UN camp where he had taken shelter with his wife, whom he had married only a week before the war. “All of us cried,” said Mabior Nyuon Bior, another Canadian doctor at Bor hospital who had known Dr. Lul since their childhood in a refugee camp. The war in South Sudan brought horrific carnage to Bor. Some of the Canadian doctors returned to the nearly destroyed hospital this month. “We collected the bodies of the patients that were killed in the wards,” said Samuel Agot, another Canadian doctor, in an e-mail to Samaritan’s Purse. When Dr. Bior fled the besieged hospital at dawn on Dec. 19, heavy machine guns were pounding and bullets were hitting nearby. He was convinced he would die before he could reach the bush. “This is my last day,” he told himself. Somehow he managed to escape, walking 30 kilometres to the town of Werkok. A few days later, the rebels attacked that town, too. People ran into the Nile to escape, but eight children drowned as they tried to avoid the bullets. Dr. Bior hid in the river for two hours, submerged in the weeds. The rebels spotted an old man in the river, told him to come out and then shot him. The doctor heard them arguing about whether he should have been killed or not. A day later, as the rebels moved through the town, he was chased into the bush again, nearly killed by tracer fire. He eventually returned to Bor, where he found the hospital filled with dead bodies-including the woman whose life he had saved when she needed the cesarean. He and four other Canadian doctors were evacuated on a plane sent by Samaritan’s Purse. It wasn’t his first taste of war. Most of the Canadian doctors in South Sudan were among the “Lost Boys” who escaped from civil war in the 1980s and walked on marathon journeys to Ethiopian refugee camps. As an 11-year-old in 1983, Dr. Bior heard the big guns booming at the beginning of Sudan’s second civil war. His mother told him it was just a thunderstorm, but he saw the soldiers and fled into the bush. His mother thought he was dead, until an aunt found him. A year later, with bodies littering the streets, he walked away from the town. Like thousands of other refugee children, he walked for weeks through the bush, avoiding militia ambushes and eating fruit to survive, traumatized by the sight of dying civilians, before crossing into Ethiopia. At a refugee camp, rebel leader John Garang told the children they must be fighters of a different kind: engineers and doctors to build their homeland when it won independence. “He knew this country would need us in the future,” Dr. Bior said. He was among the 600 children who boarded Soviet ships and planes for the journey to Cuba. After graduating from medical school there, some were accepted by Canada as refugees. They were not allowed to practise medicine, so Dr. Bior became a warehouse labourer, while Dr. Lul worked in a factory. After a 2005 peace agreement in Sudan, 15 of the doctors enrolled in a Canadian-funded medical upgrading program at the University of Calgary and then returned to their homeland, full of ideals, determined to fulfill the mission they were given as children in the refugee camp. “I think each of them is a hero for remaining in such frustrating and dangerous circumstances when they could have returned to Canada any time,” said Jeff Adams, a spokesman for Samaritan’s Purse.